A-Frame Chalets @ Mokutu offers the perfect location for those after a quiet retreat and away from the main town, the property is surrounded by paddocks filled with cows and horses. This Norfolk Island accommodation is still set close to the main towns however far enough for everyone to enjoy the peaceful views of the island and ocean. There are a range of room types to choose from catering for almost anyone's needs. Mokutu offers a swimming pool, yoga deck, outdoor BBQ's and WiFi Internet. Broad Leaf Villas features 5 villas that offer self catering facilities that are located just moments from the Burnt Pine area which is filled with restaurants, cafes and shops. The villas are modern, spacious and comfortable with private balconies that over look the surrounding area. 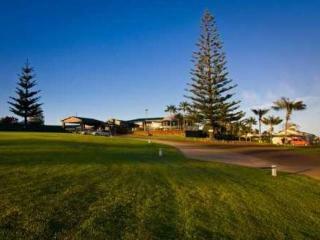 All villas come with a hire car enabling guests to discover everything that Norfolk Island has to offer. The villas are perfect for couples and families after short or extended statys. Burnt Pine Boutique Apartments have it all, resort facilities, heart of town location and ocean and valley views courtesy of its Norfolk Island highlands location. Built on 4 and a half acres of lush Norfolk Island countryside, Burnt Pine Boutique Apartments offers Studio, 1 Bedroom and 2 Bedroom self contained accommodation with many conveniences available on-site such as takeaway hot food shops, car hire, tour desk and transit lounge. Only a 5 minute drive away from historic Kingston region and coastlines of Emily Beach and Slaughter Bay. At Cascade Garden Apartments you will have all of your homely creature comforts whilst being surrounded by amazing scenery within a tranquil setting. 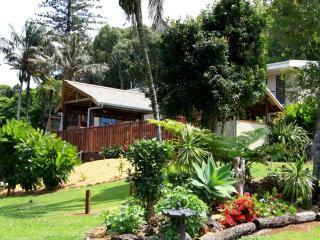 Affordable Norfolk Island Accommodation with the convenience of self-catering in 1 or 2 Bedroom Apartments. 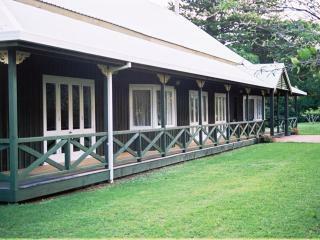 Castaway Norfolk Island are known for comfortable and inviting accommodation on Norfolk Island, with some rooms offering views to the Island's central mountains. 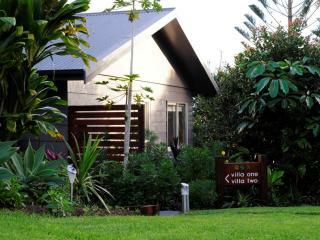 The setting is a well established subtropical garden including palms and a magnificent banyan tree. Whether you choose serviced hotel accommodation or modern self-contained apartments you'll remember the relaxed, professional service and friendly hospitality of Castaway Norfolk Island. Coast offers 1, 2 and Studio Bedroom Apartments each self contained with balconies providing spectacular views. 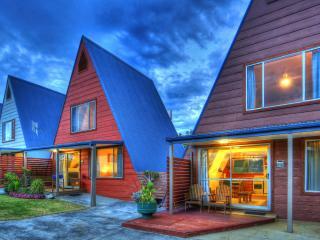 In addition to their beautiful apartments, Coast also offers 4 Cottages and 1 House. The Cottages and Routi House are all private, spacious and offer sensational ocean views. Located in the Longridge district, Coast is only 5 minutes drive from Town restaurants and shop, the beach and local attractions. 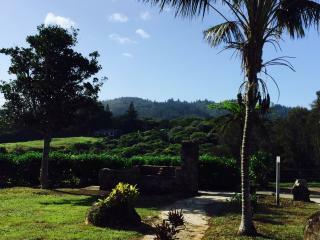 Cumberland Resort and Spa is a 3 minute stroll from the tax free shops, cafes, restaurants of Norfolk Island and only 5 minutes to the beaches, golf, forest walks and historical area. This comfortable and affordable Norfolk Island accommodation offers 1 and 2 bedroom villas, as well as a 5 bedroom, 3 bathroom home that is ideal for families or groups. Each villa has its own veranda, overlooks the tropical gardens and features all the modern conveniences, including a fully equipped kitchen. 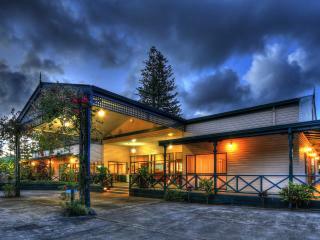 Amongst the Norfolk Pines and 12 acres of sub tropical gardens is Governor's Lodge Resort Hotel. 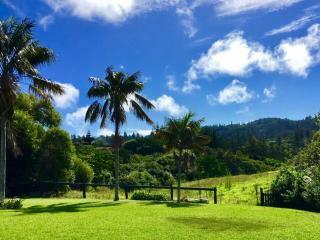 This delightful Norfolk Island resort is situated only 8 minutes walk from the Burnt Pine shopping district and only a 5 minute drive from the beach, airport and Kingston historic precinct. Governor's Lodge Resort Hotel offers Executive and Deluxe lodges; these free standing units provide the perfect home away from home with kitchenette facilities, verandas, lounge, dining and private bathrooms with separate bath and shower. Enjoy the space and comfort of having your own private house by staying at the gorgeous Haydanblair House. Perfect for a small group or a romantic getaway for two. Set on 5 acres with plenty of privacy, yet close to town, restaurants and the beach. Spend your days lazing on the sunny wrap around verandah and your nights in front of the cosy fireplace in the sunken lounge. 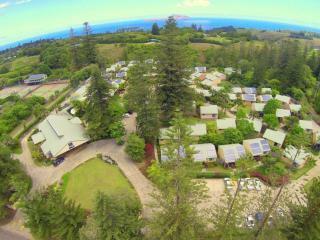 Discover this unique Norfolk Island Accommodation and you will not be disappointed. Feel completely welcomed by the friendly staff at Hibiscus Crown. Although you are within easy walking distance to the shops and restaurants of Norfolk Island, you can also purchase car hire at the resort. This is a great way to see more of the island and experience Norfolk at its best! Be surrounded by a lush fruit orchard where you can pick your own fruit fresh daily. 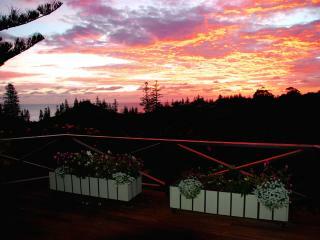 This is just one of many pleasurable reasons to want to stay at Hideaway Retreat on Norfolk Island. Your accommodation will be comfortable with all of the privacy and tranquillity you can take yet conveniently a few minutes from the main shopping and dining area. Panorama Seaside Apartments as the name describes, has stunning panoramic views of the Pacific Ocean. Peace, tranquillity and beauty are just some of the reasons guests return again and again. Offering one and two bedroom apartments, situated within the Heritage listed area of Kingston. This Norfolk Island accommodation offers a room suitable for almost every traveller, from single rooms up to spacious poolside rooms. Paradise Hotel & Resort offers a number of facilities to ensure a comfortable and memorable stay including a resort swimming pool, restaurant and bar, wireless internet plus much more. This Norfolk Island accommodation feature thirteen 1 & 2 Bedroom apartments all offering full kitchen facilities, perfect for those who enjoy self catering or who would like to create a meal using fresh local produce. Pine Valley Apartments is a great place to base yourself while exploring this majestic island. Return to your apartment at the end of each day to just relax and unwind. Seaview Norfolk Island offers amazing views of the Pacific Ocean and Phillip Island and it set in the highlands of Norfolk Island in the Burnt Pine region. 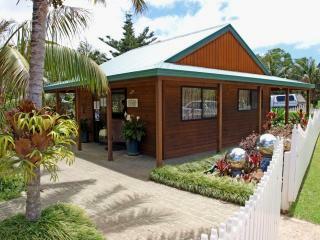 Restaurants and cafes are within a short distance of this Norfolk Island accommodation. 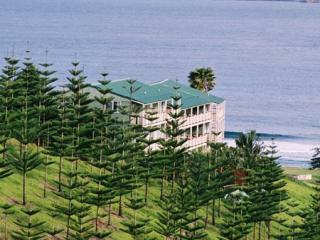 If you are after studio or apartment style accommodation Seaview Norfolk Island will have something suitable for you. The apartments are ideal for families after self catering facilities or for extended stays. Discover a touch of luxury in your home away from home at Shiralee Executive Cottages. 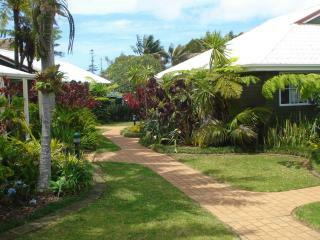 The well manicured sub-tropical gardens provide an ideal setting for your next Norfolk Island holiday. 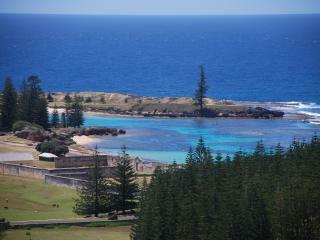 Enjoy exploring all of the natural beauty and history that Norfolk Island offers. Known as the largest and most conveniently located resort on Norfolk, The South Pacific Island Resort boasts spacious rooms comprising Garden, Superior and Deluxe Rooms as well as Suites and a Penthouse. 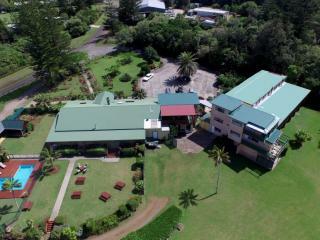 This Norfolk Island resort offers fantastic facilities such as an on-site restaurant, bar, mini-golf and the largest swimming pool on Norfolk Island. Only 5 minutes drive to historic Kingston precinct, golf course, shopping and beautiful Emily Bay. The Polynesian Apartments offers spacious and comfortable Studio, 1 & 2 Bedroom Apartments. 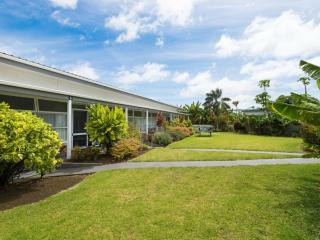 Nestled on 2 acres of subtropical gardens, this Norfolk Island accommodation is conveniently located only 5 minutes drive from historic Kingston, shopping, golf and beautiful Emily Bay. Take advantage of the onsite facilities such as outdoor swimming pool, BBQ, picnic facilities and onsite restaurant.